But despite the recent ruling by Attorney General Jeff Sessions, immigration rights activists say it's not impossible for survivors of domestic violence to gain asylum. Emily Abraham of the Social Justice Collaborative doesn’t want to discourage individuals from seeking asylum. Four years ago, a young woman living in a rural, predominantly Mayan municipality of Guatemala was faced with a choice: try to start a new life in the United States, or stay in her hometown and continue to be abused by her husband. Rosa, who asked that her name be changed due to her ongoing immigration case, was 25 years old at the time and a mother of two young girls. For several years, she had been a victim of domestic violence. But when she went to the Guatemalan government for help, they refused assistance — and even threatened her — because she supported a different political party, she said. So, she decided to leave with her two daughters. After 15 days of traveling by bus, Rosa, with her 2-year-old on her back and 5-year-old at her side, walked through the desert for 24 hours straight. They had some food and water, but not enough, she said. When they finally got to the U.S. border, Rosa turned herself in to immigration officials. Speaking only Mam, an indigenous Mayan language, she passed the credible fear interview — a screening the government uses to ascertain credible fears of persecution, which allows immigrants to stay in the U.S. while applying for asylum. After a few days, Rosa was reunited with her brother, who lives in Oakland. After three hearings spanning more than a year, Rosa was granted asylum largely on the grounds of belonging to a particular social group: Guatemalan women who are survivors of domestic violence. "I feel safe now," said Rosa, folding her hands and looking over at her two daughters. "Wherever I go and ask for work, I am accepted, because I have a work permit. I am happier because I have status and can provide for my children." But on June 11, U.S. Attorney General Jeff Sessions rolled back the legal precedents that Rosa and other women like her have used to apply for asylum. In his decision reversing an immigration appeals court ruling that granted asylum to a Salvadoran woman fleeing domestic violence in 2014, Sessions wrote that, generally speaking, claims "pertaining to domestic violence or gang violence perpetrated by non-governmental actors will not qualify for asylum." Attorneys and advocates say the action could have a wide range of implications for asylum seekers, the legal immigration system, and immigrant communities as a whole. Lourdes Martinez, a former immigration attorney and political director for Mujeres Unidas y Activas, a local nonprofit supporting Latina immigrant women, said Sessions' ruling presents a harmful definition of what constitutes a refugee. "The claim becomes, 'You're not being persecuted, you're just a victim of crime,'" she said. "That's exactly what Jeff Sessions is saying. 'If you are the victim of violence or crime, that's unfortunate, but that's not good enough to get you asylum.'" Martinez pointed out the hypocrisy behind decades of U.S. interventionist policy in Central America and Sessions' decision to deny asylum to the survivors of that generational trauma and violence, adding that many of her former clients will now have a far more difficult, if not impossible, time of a favorable determination. "It's quite evident from all of the reports, news, and testimony that these countries don't have the ability to control gangs and domestic violence abusers," said Caroline Roberts, the senior staff attorney for Oasis Legal Services, a nonprofit law firm that specializes in providing legal services for LGBTQIA+ immigrants. Roberts said Sessions' decision has implications for members of the LGBTQIA+ immigrant community, who are often targeted for their sexual orientation and commonly apply for asylum on the grounds of fleeing domestic and gang violence. She added that cases will now take longer and become more difficult to win, creating a backlog in an already slow process. A report released in 2016 by New York-based nonprofit Human Rights First found that it takes an average of more than two years for an initial affirmative asylum interview to occur, and that the total amount of asylum cases filed in the U.S. has quadrupled since 2013. The irony is that Sessions' ruling will work against the Justice Department's earlier efforts to address the backlog of asylum cases through enforcing quotas and performance evaluations for immigration judges, said Emily Abraham, Rosa's attorney and the cofounder of Social Justice Collaborative, a nonprofit that provides legal services for low-income immigrants. 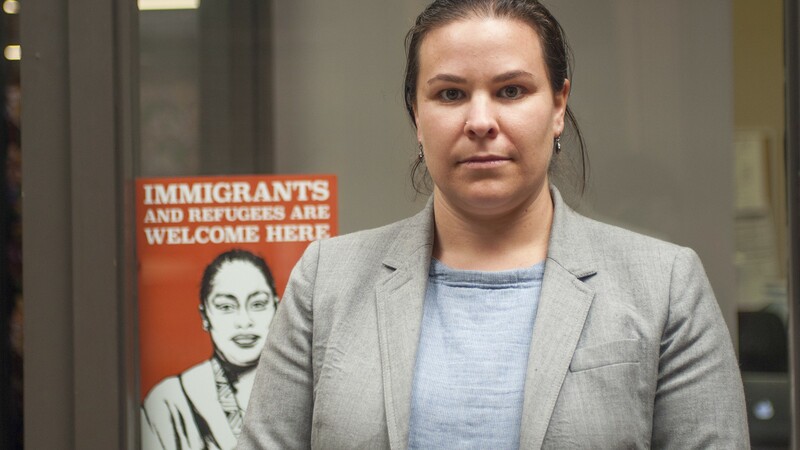 Abraham said she has worked on almost 1,000 cases since 2012, and that, generally speaking, immigration judges in San Francisco were granting asylum for survivors of domestic violence since long before the legal precedent — which categorized women in Guatemala who could not leave their abusive husbands as part of a particular social group eligible for asylum — was established. Still, Sessions' decision will now make things more complicated. "I interpret [the decision] not to say that there cannot be domestic violence asylum cases, but that you have to shore up each case, individually, to demonstrate why this individual qualifies, instead of relying on the ... precedent," Abraham said. "Without that, we have to start from scratch and build that case each time." She cautioned against presenting Sessions' decision as a closed door. "It's really dangerous to have people talk about this saying that you can't win asylum anymore, or that it's gone," Abraham said. "It's going to end up hurting people more than helping them." Still, Abraham said Sessions' ruling will likely discourage people from seeking asylum and add to the number of undocumented immigrants in the Bay Area — an outcome that will keep people from accessing important social services. Rebecca Merton, an independent monitor and national visitation coordinator with the organization Freedom for Immigrants, said she's confident that there will be legal challenges to the ruling. In the meantime, many of the women applying for asylum while being held in civil detention are frightened, Merton said. Rosa said that she is, too. She has tried to forget her old life in Guatemala, but she hears on the radio that the government might revoke people's statuses. She said she doesn't know what she would do if they ever tried to send her back to her hometown, where many women she knows are still abused by their husbands with little to no recourse or protection. Rosa hopes that, one day, these women's voices will be heard. Towing companies are taking cars illegally, and it's costing people. One of the worst offenders is PPI Towing of Oakland. City officials have slowly worked to bring a massive illegal marijuana warehouse into compliance, and the mayor's family has a financial stake in its success.